Burbank, CA – R Dub!, veteran programmer and host of the #1 rated weekend show Sunday Nite Slow Jams with R Dub! is rolling out the second iteration of his popular program. Slow Jams POP features a new mainstream-leaning playlist that meets the needs of Top 40 and CHR affiliates. “I can’t tell you how many Pop PDs have showed interest in Sunday Nite Slow Jams over the years and wanted a version for their format. I’m happy to say that it’s here, and this new mainstream version of the show will be just as successful, if not more so, than our Rhythm show,” says R Dub! With a list of over 50 Rhythm/Urban stations already on board, R Dub! now sets his sites on CHR. “We’re a Top 40 Mainstream with a slight Rhythmic lean. Slow Jams POP fits that perfectly,” says Special Ed from Channel 96-1 (WIBT-FM Charlotte). Slow Jams POP still brings your favorite features and dedications every Sunday night, and now has the flexibility offered by mainstream friendly artists like Drake, Mariah Carey, Usher and Nicki Minaj. Both versions of Slow Jams are distributed by Westwood One, with affiliate support provided by Benztown Radio Networks. 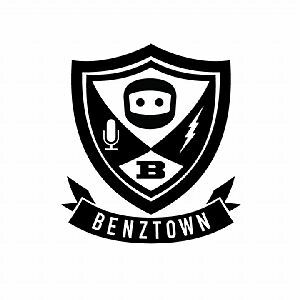 To put Slow Jams on your station, contact Benztown Radio Networks.